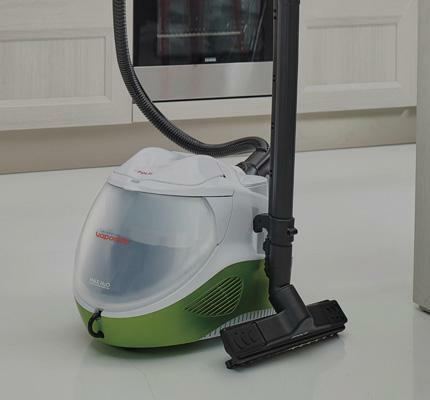 Unico MCV85_Total Clean & Turbo is a multifunction vacuum cleaner that vacuums, steam cleans and dries surfaces. Designed to completely clean the entire home. 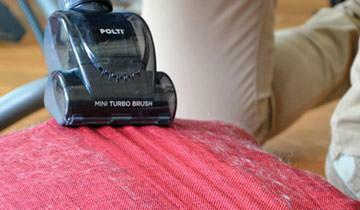 Provided with a turbo brush, it is perfect for removing pet hair, human hair and dirt from sofas, carpets and rugs. The 3 digital programs that automatically adjust steam delivery and vacuum power make it even easier to steam clean and dry the various surfaces with Unico - for excellent cleaning results. Unico MCV85_Total Clean & Turbo separates dust from the air with 5 stage filtration and adds a pleasant fragrance thanks to the Frescoaspira air freshener. In addition, with Unico MCV85_Total Clean & Turbo you can fully sanitise surfaces, thanks to the natural and ecological power of steam, able to kill and remove 99.99% of germs and bacteria. Unico MCV85_Total Clean & Turbo comes with specific accessories to effectively vacuum up dirt: the mini turbo brush and the turbo brush remove pet hair, human hair and dust from sofas, cushions, carpets and rugs. The brushing action of the bristle roller opens fabric fibres, so the suction reaches more deeply. 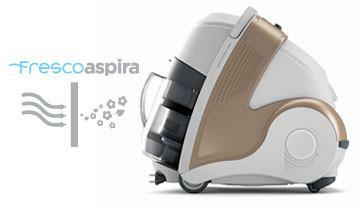 Unico is a powerful multi-cyclonic bagless vacuum cleaner, designed to guarantee a high level of clean as well as healthier and cleaner air, benefiting allergy sufferers. The 5 stage filtration using the HEPA 13 filter captures even the smallest and finest dust particles, reducing any retransmission during cleaning to a minimum. 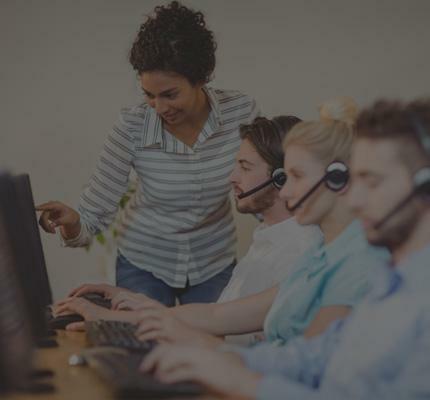 *Tests carried out by an external, independent laboratory show that Polti Unico kills and removes 99.99% of the most common germs, bacteria and viruses. 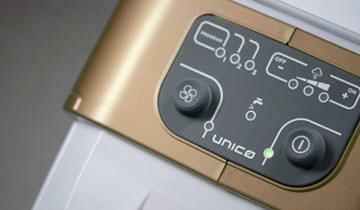 Unico is provided with an integrated boiler that produces steam, so the home can be deep cleaned naturally, without the need for chemical detergents. A simple button activates steam delivery, to naturally and quickly deep clean any surface, neutralising germs, dust mites and bacteria. 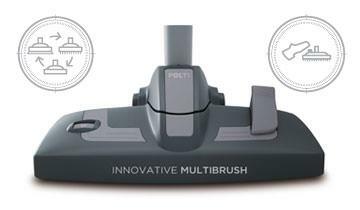 Multibrush is the innovative universal brush designed to vacuum, steam clean and dry surfaces. A single click selects the brush position based on the surface to be cleaned and the function to be used. No need for inserts for drying or washing and drying carpets or rugs. No cloths need to be attached to wash and dry delicate surfaces - the brush has bristles for vacuuming hard and delicate floors, and rubber inserts for washing and drying hard floors, or for vacuuming up damp dirt. Unico MCV85_Total Clean & Turbo is provided with 3 programs that adjust the frequency and intensity of steam and vacuum power, for excellent results based on the type of surface to be cleaned: hard floors, bathroom or upholstered items. When fitted in the HEPA filter housing, the Frescoaspira air freshener releases a pleasant scent during and after cleaning. 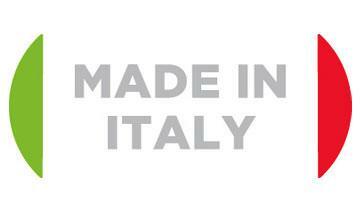 The vertical handle means Unico can be moved easily in any direction and without the need to bend down. A special accessory holder can be connected to either the vertical handle or directly to the device, to have everything within reach. Unico MCV85_Total Clean & Turbo was designed and entirely assembled in Italy. Careful attention is paid to each production step, guaranteeing the quality of the finished product. A single brush to vacuum, steam clean and dry hard floors, delicate floors, carpets and rugs. Perfect for carpets and rugs, it opens fibers and vacuums up even deep down dirt. Also ideal for hard floors. Ideal for cleaning sofas, mattresses and upholstered items in general, to remove human and pet hair. Deep cleans sofas, armchairs and mattresses and get sparkling windows and mirrors with a single accessory. Collects the dirt dissolved by the steam when cleaning mattresses, general and car upholstery. To remove the most stubborn dirt and access hard to reach spaces. Add the abrasive action offered by the bristles to the effectiveness of steam in removing encrusted dirt. Choose a colour for a type of flooring or a given room to ensure the utmost hygiene. Particularly recommended for cleaning sofas, armchairs, footrests, cushions and mattresses. 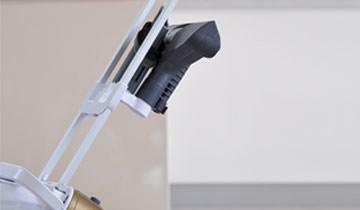 Vacuum in the tightest corners and dust surfaces with a single accessory: in fact, you can decide whether to use the tapered nozzle, perfect for getting in between sofa cushions, or the bristled nozzle to more effectively remove dirt from smaller surfaces, such as shelves, bookshelves, etc. 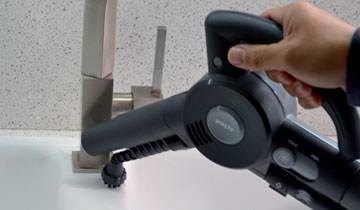 The practical handle means the device can be moved in every direction without the need for bending down. This special accessory allows the washable cloth to be attached to the universal brush to clean delicate flooring. A cloth for delicate floors and a universal microfibre cloth are included: they help to collect the dirt dissolved by the steam. ACCESSORY HOLDER Can be applied to the device body or to the vertical handle - making it possible to keep all the various accessories within easy reach. 2 Frescoaspira tabs are provided with Clean and Aromatic scents. 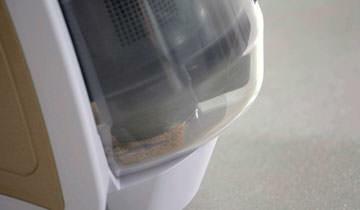 When inserted in the HEPA filter housing, they release a pleasant fragrance while cleaning. The height can be adjusted to find the most comfortable position for cleaning. The steam hose can be easily disconnected to increase manoeuvrability when just vacuuming.